This week we are shining the spotlight on ASSA ABLOY’s eCLIQ. It’s an electronic locking system which has been based on the mechanical precision and microelectronic modules of ASSA ABLOY’s CLIQ® technology. eCLIQ provides an electronic security solution without any need for wiring. The range of eCLIQ cylinders are able to retrofit into your existing hardware. It features programmable access rights, time scheduling, audit trails, blocking of lost keys, and much more. Electronics that control the system are found in both the key and the cylinder. There is a battery located in the key. This battery powers the cylinder electronics when the key is inserted. The battery found in the key is a 3V lithium (type CR 2032). It has a lifetime of about three years or 30,000 key operations. It is advised to change the battery as soon as the key indicates a low battery warning. There is a clock and calendar feature in the eCLIQ keys. A key can be programmed to be always active, inactive, or active between certain dates. This is a handy feature when you want to control limited access to your property. Perfect for temporary staff members. A weekly operation can also be scheduled on a key. The key administrator can use the calendar to specify up to 32 time periods in which a key is granted access during a week. The clock has an accuracy of minimum +/- 1 minute per month. We are excited to be able to offer the eCLIQ range as a security solution to our customers. 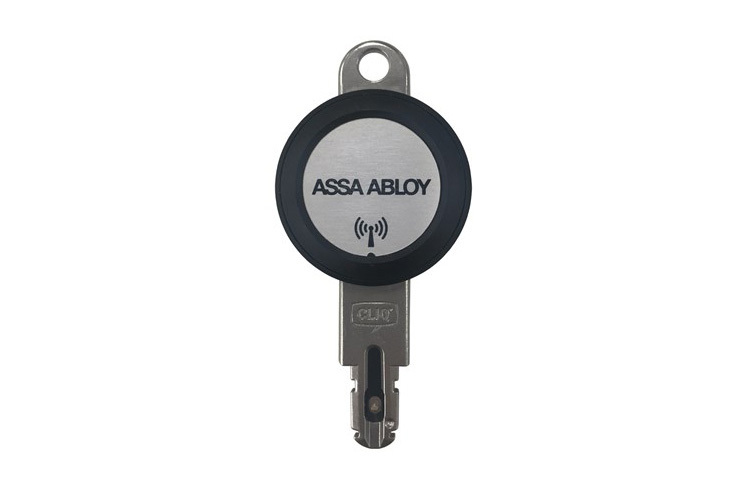 Please contact us today to discuss how ASSA ABLOY’s eCLIQ can protect you and your property.